The skin undergoes changes with time. Sun exposure, health habits, environmental pollutants and the pull of gravity will wear it down. 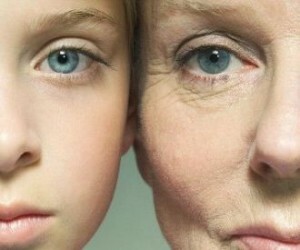 Within the body, the aging process also exacts its toll with reduced collagen production and slower cell turnover. Understanding skincare at every age and taking measures to slow the aging effects will help your skin stay resilient longer. Imperfections start to creep in. You may notice first signs of aging such as expression lines around the mouth, eyes and on the forehead, due to slower cell renewal and reduced sebum production. Continue to be vigilant in your skin care routine and consider moisturizers that offer multiple benefits such as hydration, sun protection and skin repair. Skin products with antioxidants will help to encourage collagen production. Skin shows more drastic changes as cell turnover slows down further and collagen, elastin and moisture level in the skin drop. Actual wrinkles and deeper expression lines develop as a result. This is the age where you may need to be more diligent in your skincare. Continue to use sunscreen, daily moisturizer and more advanced skin care products. Look for skin products with vitamin C and peptides to help the connective tissue under the skin to produce collagen. You may need to exfoliate more frequently to get rid of dull skin. Salicylic and glycolic acids and retinoic acids make good exfoliating agents and help to promote skin radiance. Eye cream is now a definite must. As hormone levels drop, collagen production slows drastically. Sagging and hollowing may become the landscape on your skin. Fight back with collagen-boosting peptides and vitamin C serum. Encourage skin to retain moisture by using hyaluronic acid and ceramides. Moisturize well and hydrate continually to help skin retain its elasticity, bounce and radiance. Knowing how your skin age and taking good care of it will give you the best chance of aging beautifully. Let us help you at every stage. Call for a consultation or schedule your appointment online easily!